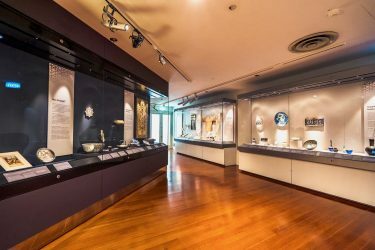 The permanent gallery in the Asian Civilisations Museum showcases the rich variety of objects reflecting Islamic values in a modern and contemporary environment. 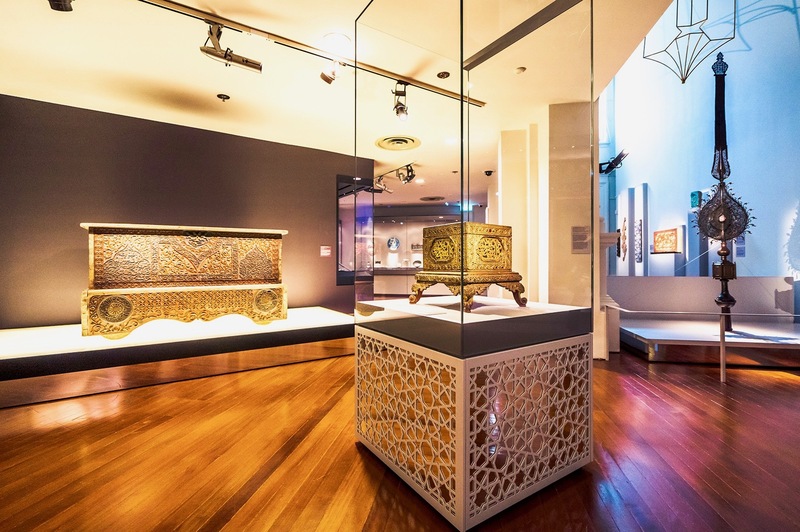 We designed the gallery into four thematic sections that explore the global, regional, spiritual and supernatural aspects of Islamic art across Southeast Asia. 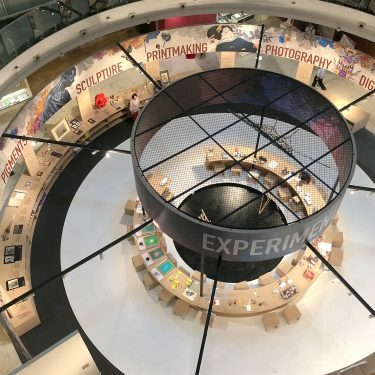 Harkening back to the counter-clockwise direction in which believers circle the Kaaba in Mecca, we designed the experience around an angular central island that connects each section—creating a visitor flow that happens in the same counter-clockwise direction. Visitors enter the gallery under a dome, created with mirrors and bronze. The suspended Muqarnas, a traditional dome design found within Islamic architecture provides a memorable, modern take on a traditional feature—playfully reminding the visitor of Islam’s comparatively young age. 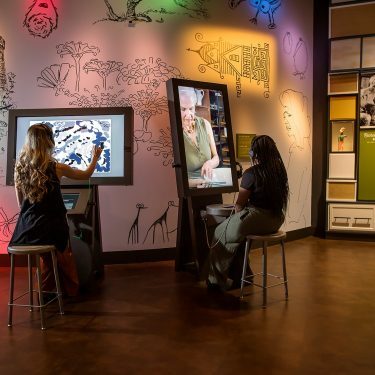 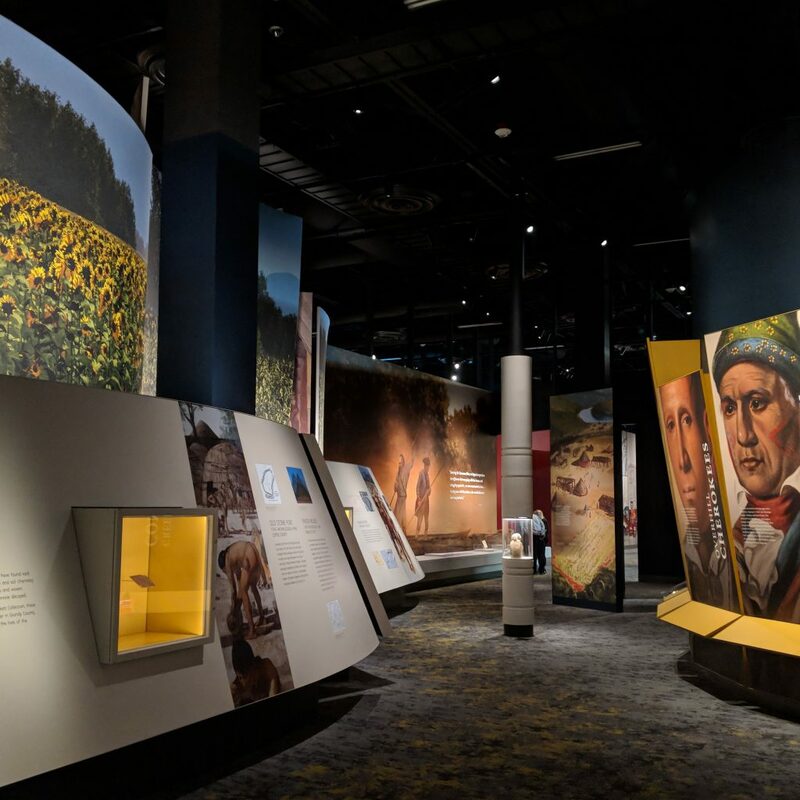 We really wanted to create a contemporary look and feel to compliment the surrounding galleries in the museum. 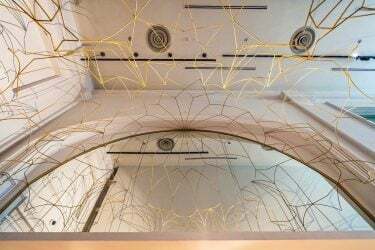 Detailing an accurate Muqarnas feature was a real challenge but one that paid off and completes a memorable experience. At the entrance of the double-wide annex, visitors are immediately confronted by this tall Procession Standard artifact in open display. 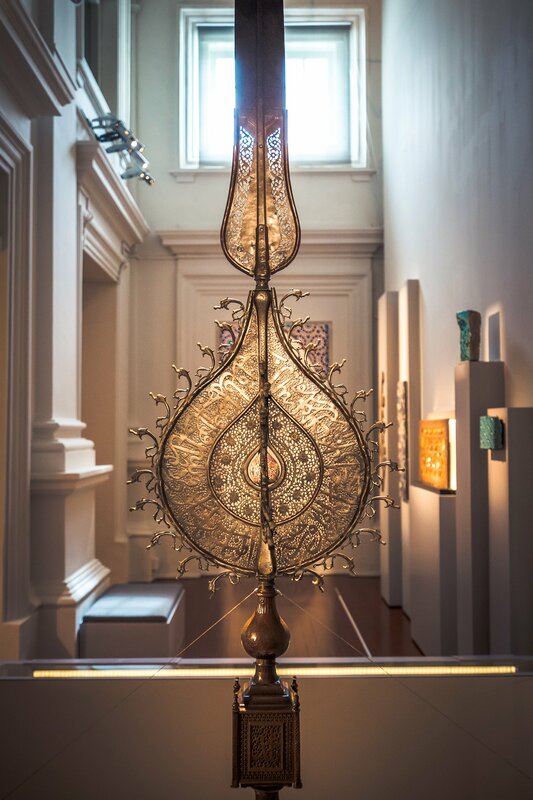 Famously used in religious celebrations, this key artifact is the perfect welcome into the gallery space and serves as a tool to guide the flow through the exhibits. 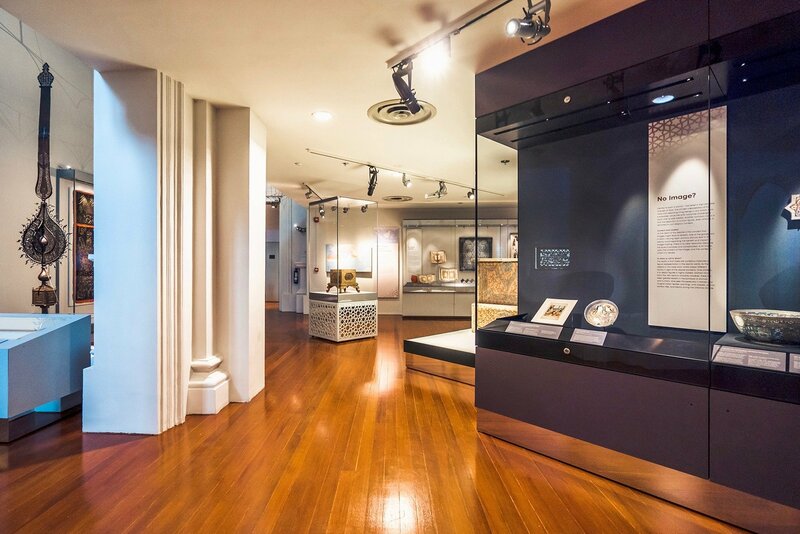 We designed the gallery using bold contemporary statements, clean white walls, mirrors and light boxes, balanced with subtle thematic elements such as die-cut motifs in the display case panels and Islamic patterns throughout the interpretive panels. 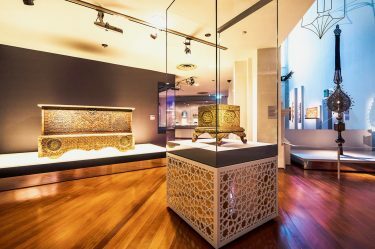 Shown below, the angular central island—painted in dark grey, inspired by the dark facade of the Kaaba—guides the visitors through the exhibit in a counter-clockwise flow.